To put the verse in context: This is apostle Paul, explaining to high government officials his interaction with the Lord Jesus Christ on the way to Damascus. This is when Paul was still Saul and was severely persecuting Christians, the followers of the Lord. 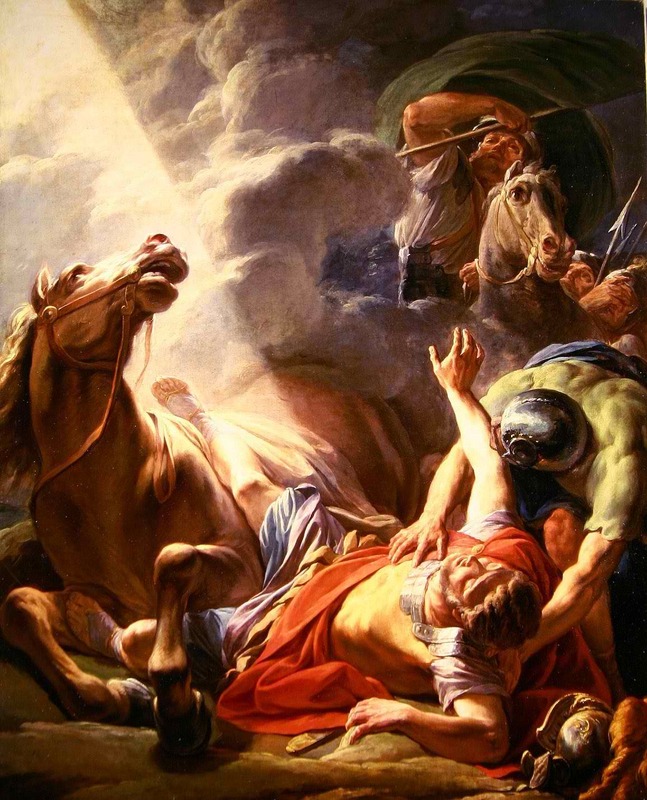 Saul did not know Jesus Christ as Lord and Savior. Secondly, the question is illogical since it contains the answer: “Who are YOU (QUESTION), LORD (ANSWER)?” Why is Saul asking the Lord who He is? Obviously, he knows him — calls Him “Lord.” If he did not know him, why is he calling him “Lord,” then? Or if actually does not know who he is talking to, Saul is asking an honest question, “Who are you really?” But then the address “Lord” does not make sense. “Lord” is meant to denote one and one only Person in the NT – THE LORD JESUS CHRIST. So is Saul (Paul) being hypocritical here, and all of a sudden acknowledges Jesus Christ as Lord, and still asks him who He is? Or is it the religious hypocrisy of the translators that has played a role in this mix-up? I suggest it is the second. The proper translation of the word “lord” which is capitalized by translators in this passage to give honor to Jesus Christ, Who indeed is speaking to Saul, is “sir.” Yes, the translators know that it is Jesus speaking to Paul, and try to honor His name by capitalizing Saul’s addressing Him. However, Saul seems to not have an idea of who he is talking to. Saul gets even more confused when the person talking to him states that Saul is persecuting him! It only makes sense that Saul is using the term “lord” or “master” from which we derive today’s word “mister” and “sir” in that very sense. Saul is simply being polite to a stranger who is talking to him. Yes, under very strenuous for Saul and his companions’ circumstance, but still — a stranger. Only 3 of over 30 translations, however, use the proper translation – “Who are you, sir?” The Complete Jewish Bible, God’s Word Translation, and the New Living Translation. Even the loose interpretive book based on the Bible original — the Message translates Saul’s address wrongly — “Who are You, Master?” The use of “Master” speaks that the author of the Message felt that Saul was aware of Christ’s Lordship, at least to some extent. Thus even the Message asserts the confusing question-answer statement posed by Saul to Jesus. Following the true translation of Saul’s address to the unknown to him till that moment Jesus Christ, as “Who are you, sir?” then all becomes clear to the reader immediately. The traveler who hates Christians is in shock; he wants to know who is talking to him in such a powerful and authoritative way. However, we imagine in the older times when the view of God was higher and less focused on the human side of the Lord, the translators did not want to offend the divinity and authority of Christ, at the expense of blurring Saul’s words and interaction. Then the rest of the translators followed suit, cementing the confusion. 3 of 33 is not many. If you explain this to the brothers and sisters, you will be doing your duty as a worthy servant of Christ Jesus, one who is fed by the message of faith and the true teaching you have followed. How serious are such offenses, abandoning the original meaning to insert contemporary overtones in the Bible? Confusion in the case with “sir” and “Lord” as to the meaning of the verse and the interaction. As to the second part, Dr. Luis Marcos has a very interesting position which should be read in full here: I Now Pronounce You Human and Human: How Gender-Neutral Bible Translations Prepared the Way for the Christian Acceptance of Gay Marriage. Any botched version of the truth, like rewriting the biblical text to fit contemporary mores, becomes breeding ground for error and apostasy. We must not forget the teaching of Revelation 22:18. It should remind us that even in a world and day when people think they can change their gender at will, God’ Word is eternal and any playfulness with it is playing with fire. Eternal one.